Let Barito Cater Your Holiday Events! Written by Barito Tacos & Cocktails on November 30, 2018 . Posted in Blog, Catering, Holidays & Celebrations. The holidays can be a stressful time, especially if you’re hosting friends and family for celebrations. Instead of worrying about cooking a meal that is delicious and large enough to serve all of your guests, leave it up to Barito. At Barito Tacos & Cocktails, we offer catering services to individuals in the Port Jefferson, New York area. 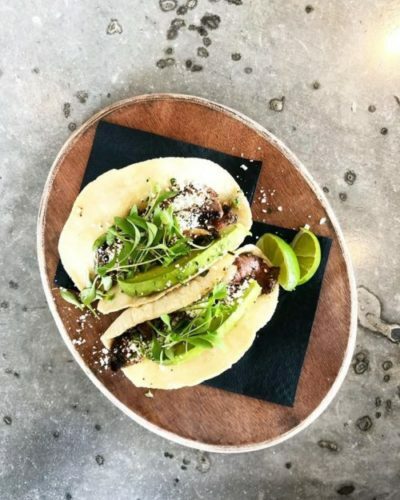 To learn more about catering at Barito Tacos & Cocktails, just continue reading. Barito Tacos & Cocktails can cater your holiday event, whether you’d like to host the event off-site or at our location. If you choose to host your party with us, we hold all parties for two hours. If you’d like your party to last longer, you can work with a manager to determine the price and time span. Our catering menu features a remarkable selection of tasty options for individuals of all diets and tastes. Select from Barito chicken, barbacoa, chorizo and potato, seasonal vegetables, duck, pork belly, porchetta al pastor, chipotle shrimp, or seasonal fish, which comes with rice and beans, crema Mexicana, shredded lettuce, sliced jalapeno, cilantro, pico de gallo, limes, cotija cheese, raddish, salsa roja, salsa verde, mango habanero, house-made corn tortillas, and house-made crunch taco shells. In addition to food options, we also have drinking packages for your holiday party. We serve mimosas, bellinis, margaritas, sangrias, tap beer, and wine. Plus, if you decide to have an open bar at our event, we offer this as well. Select from our open bar option or our top-shelf open bar choice for your holiday party for friends, family, or co-workers. To celebrate the holidays with Barito Tacos & Cocktails Catering, contact us at 631-828-8808. You can also fill out our form on our website to get in touch with our staff. We hope to spend the holidays with you soon!